I simply love experimenting with food, and I love biryanis. 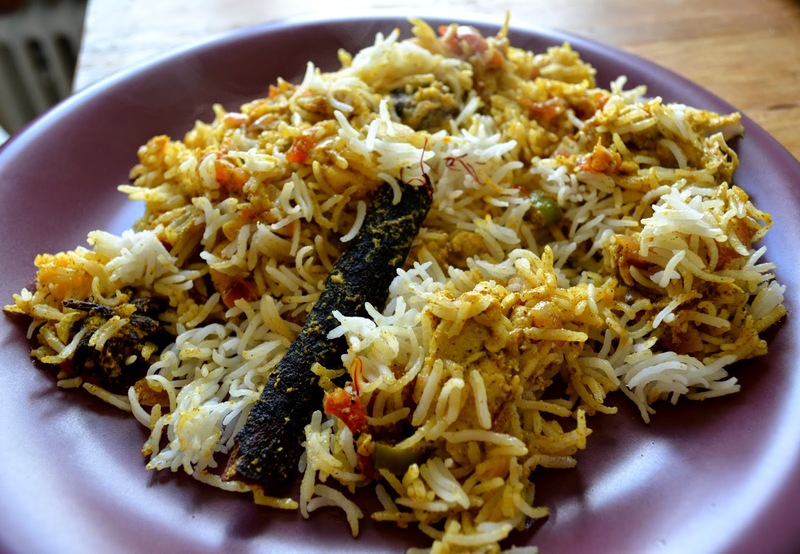 "Ambur biryani" is the one biryani that drew me because of its name. Hmm.. never heard of before.. did you? Unless you are related to South India in some way, I guess not.. I asked a lot of my friends but they were simply clueless about this term, did not even know it existed. So, I'm not alone.. wow ! 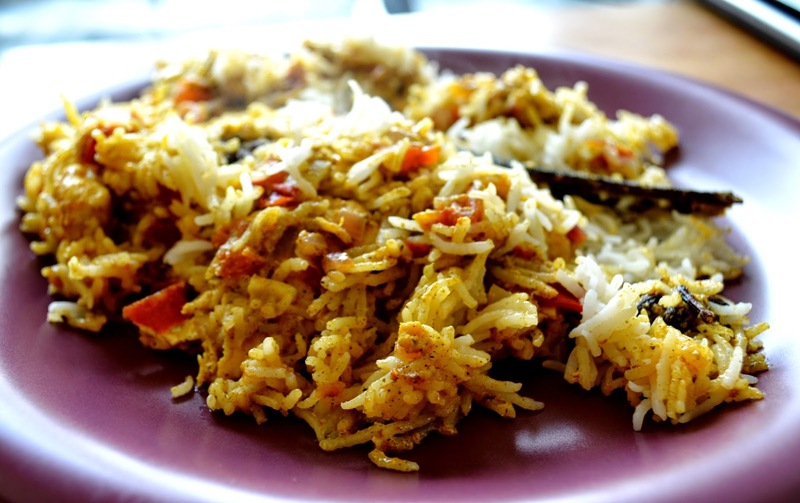 When I read about this, I was curious to make this and of course it was weekend, so I tried my hand at making this wonderful, aromatic, mouth-watering biryani.. and it instantly became my husband's favorite. He now wants me to prepare this again.. next weekend !! He loved it this much.. He has lived away from home about 10 years so has tasted a lot, and biryanis of so many kinds; but this one simply drew him as he had never experienced this kind of taste before in a biryani. Needless to say, I was happy; and I felt accomplished !! 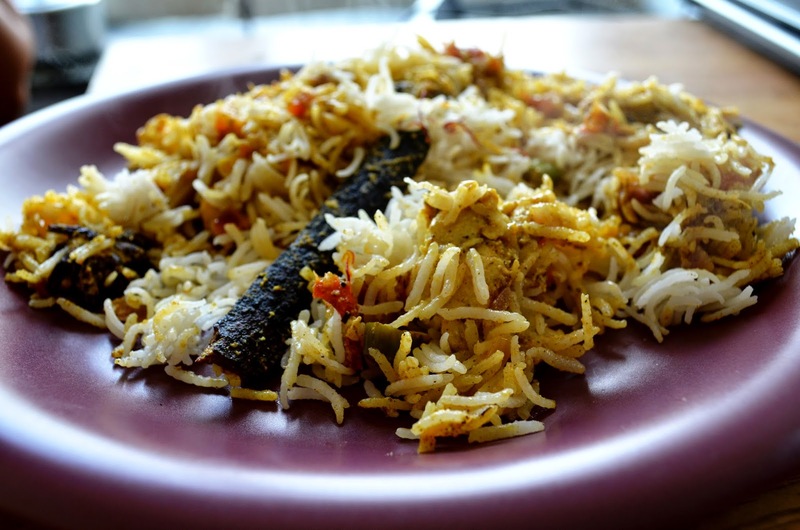 Yay.. Of course even I loved this because it is simple in making, much unlike the other biryanis I prepared which took so much time and energy: Mughlai Chicken biryani, Malabar Dum Biryani or Hyderabadi Biryani.. (These are awesome as well and a big hit in my blog). Call me crazy, but I just love these spices.. no, no.. I don't mean the taste of these spices, but I am sort of obsessed by their external appearance. I love to look at cloves and bay leaves, a big, beautiful cinnamon stick makes me fall in love; and I am simply in love with star anise.. funny right? But look carefully at the beauty of the star anise (which fascinates me the most).. what an amazing structure.. isn't it? No? Probably my architect mind takes over sometimes.. anyway.. these are the pictures of the biryani.. 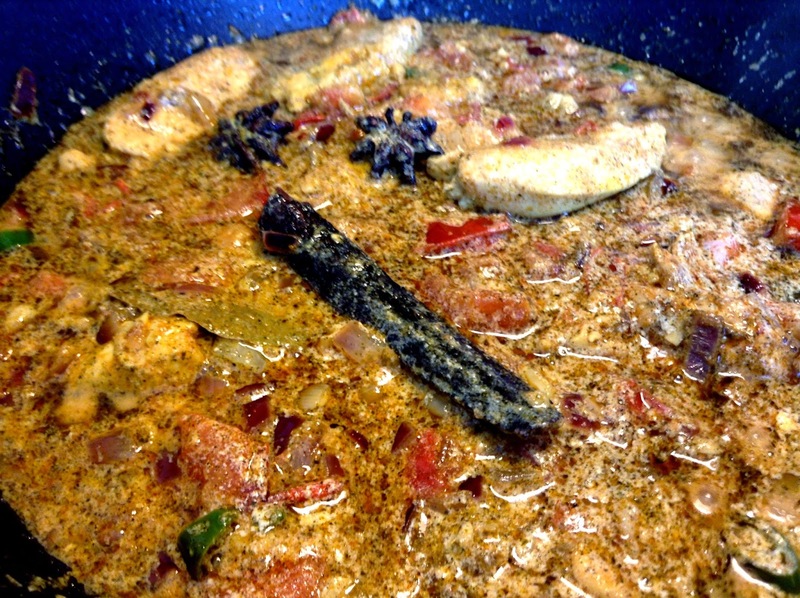 The colour of the curry.. like never before..
Wash and dry the chicken pieces. Keep them in a bowl and sprinkle turmeric powder. Keep aside. 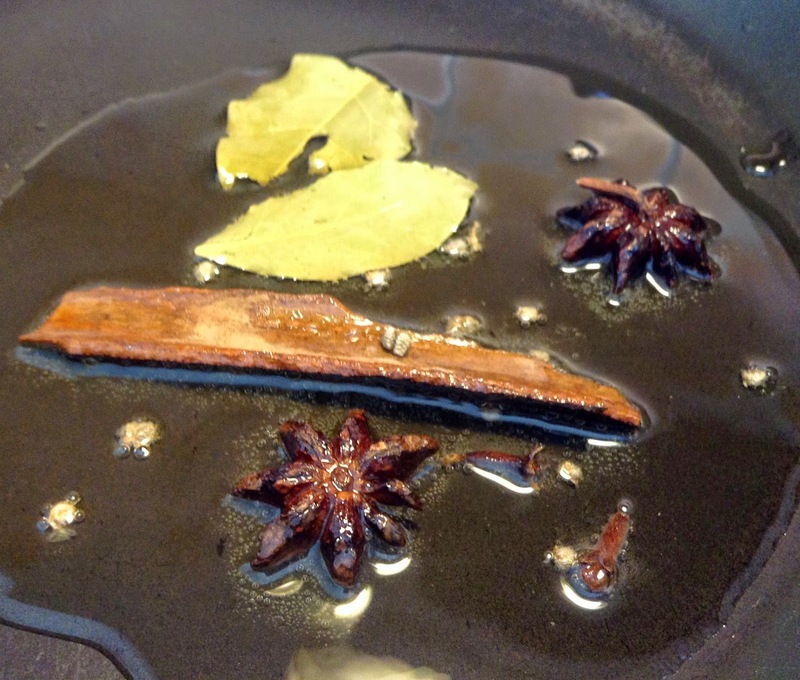 Heat oil in a pan and add the whole spices: bay leaves, star anise, cardamom, cloves, cinnamon. Let them fry for about 2 minutes; they will release the fragrance. Add ginger garlic paste and half the yoghurt. Mix well and cook for about a minute. Add the chicken and salt. Mix and cover. Let it cook for about 10 minutes. Do not add any water. Remove the lid and add onions and green chilli. Mix and let cook for 2 minutes. Add chopped tomatoes and let cook until soft. Add mint powder, coriander powder, red chilli powder and the remaining yoghurt. Mix well and cook for about a minute. Turn off the heat and transfer the contents to another bowl. Meanwhile, boil the rice the way you prefer to. Add the lemon juice to the boiled rice and mix well. In the same pan in which the chicken was cooked, add half the chicken and spread it on the base. Add half rice, then the remaining chicken and the remaining rice; in layers. Sprinkle saffron over it. Cover and let cook for another 10 minutes on low flame. Remove cover and serve hot. Yum! This looks so good. I will have to try this at our house and see how it goes over!